Melchor Pérez Holguín (active 1694-1724), Potosí, Bolivia, 1716. Oil on canvas. New Mexico History Museum Collection, DCA 2005.27.32. 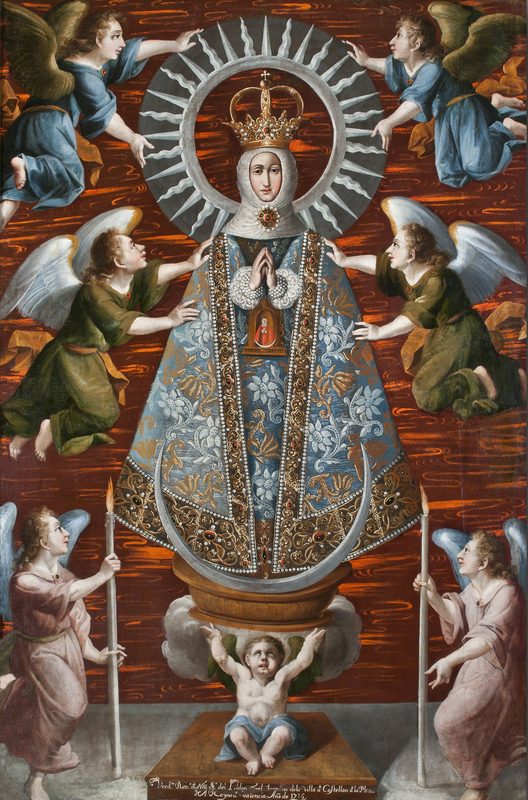 Gift of the International Institute of Iberian Colonial Art. Photo by Blair Clark. 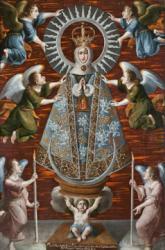 This image of Our Lady of the Lote Tree represents the patron saint of the town of Castellón de la Plana in the Valencian region of Spain. The original tiny (2.4 inches) sculpture has been installed within the body of a larger sculpture representing the Virgin Mary that has been lavishly dressed.